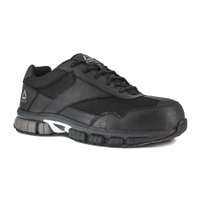 The Reebok Jorie composite toe shoes provide you with athletic feel with work boot performance. 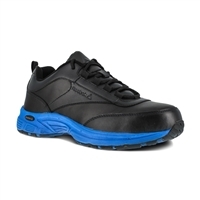 The Reebok Soyay steel toe shoes give you with the protection and comfort you need on the job. 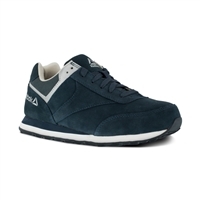 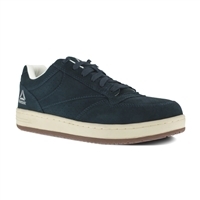 Made from suede leather, the Reebok Leelap steel toe work shoes are modeled after a retro jogger. 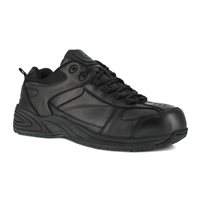 Equal parts running and work, the Guide Work steel toe show is built on running technology that rises to the challenge of the industrial work day. 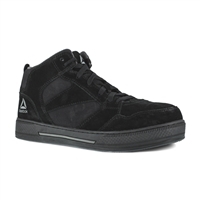 The Reebok Dayod composite toe work shoes give you a high top look, but offer you the safety of a rugged work boot. 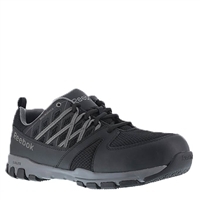 The Reebok Ateron steel toe work shoes are built from a tough and durable leather upper, but also with a nylon mesh lining for comfort. 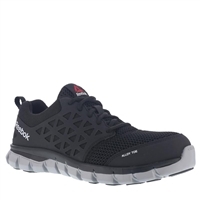 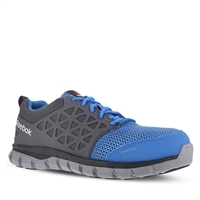 Reebok's Sublite Cushion Work sneakers achieve ultimate lightness and flexibility in a work shoe. 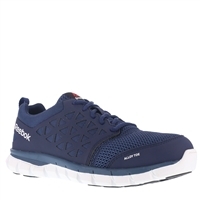 Made from suede leather, the Reebok Beviad composite toe work shoes give you an old school look with new school performance. 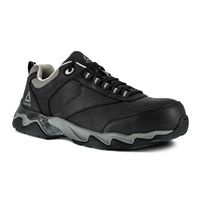 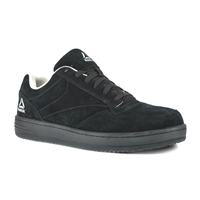 The Reebok Sublite Work steel toe work shoes are one of Reebok's newer styles. 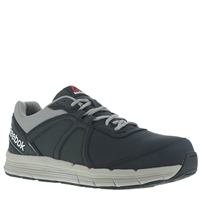 The Reebok Bema composite toe work shoes give you a casual business look and athletic shoe comfort. 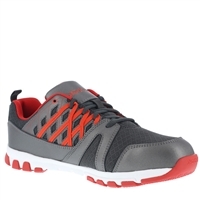 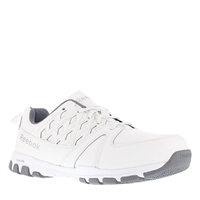 The Reebok Beamers are one of the widest fitting safety toe athletic shoes. 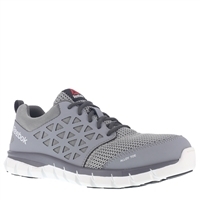 The Reebok Prelaris Women's composite toe work shoe is styled after the retro Reebok joggers. 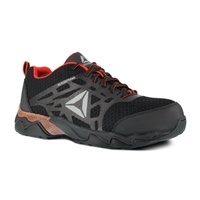 Designed with 100% non-metallic properties, the Reebok Ketia composite toe work shoes are designed to give you athletic comfort and performance and work boot safety. 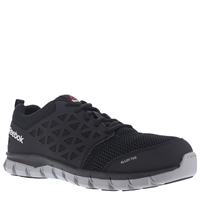 Introducing the Reebok Arion composite toe work shoes. 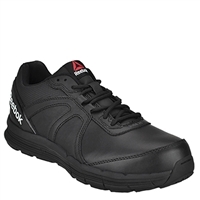 The Reebok Tarade composite toe work boots take an athletic-styled shoe and equips it for work boot performance.